Willowdale for sale which I am marketing exclusively. That means its not going on MLS and buyers can only view it by contacting me directly making the chances of having to live thru another bidding war less likely. 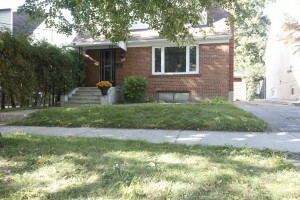 The property is located at 28 Newton Drive just 1/2 block east of Yonge Street just North of Finch Ave. The home is a quaint 1950′s home with hardwood floors and the kitchen, bathrooms and most windows have been updated. The basement is fully finished with second bath and large bright recreation room with wood stove and large above grade windows. The separate entrance to the basement provides additional opportunities for rental income. The lot is fabulous; large and private. The perfect family retreat with the added bonus of a large deck off the kitchen for enjoying bar-b-ques and entertaining in the summer. The location of course is the grand finale just steps to Yonge Street and the subway line. The possibilities are endless! If you are looking for a great investment or just a happy family home call me for your private viewing of 28 Newton. You’ll be glad you did!